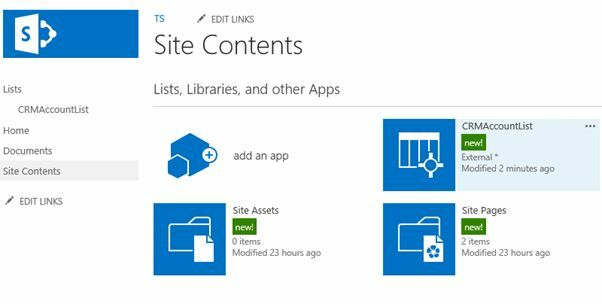 Open your SharePoint site in SharePoint Designer. 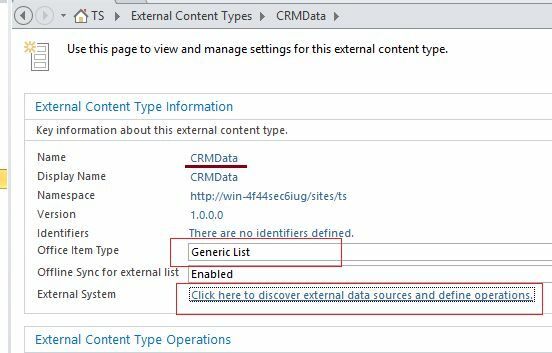 Click on External Data Type. 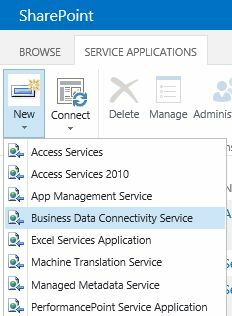 You will get the following message if the Business Data Connectivity (BDC) Service is not started on the SharePoint Farm. 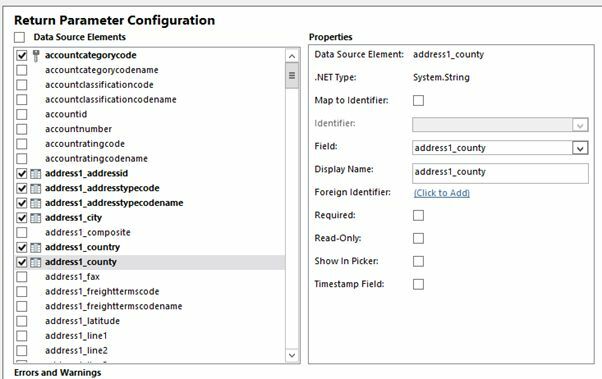 Create a BDC Service, start it and again open the site in SharePoint designer. Click on External Content Type (ECT) and choose to create a new ECT. 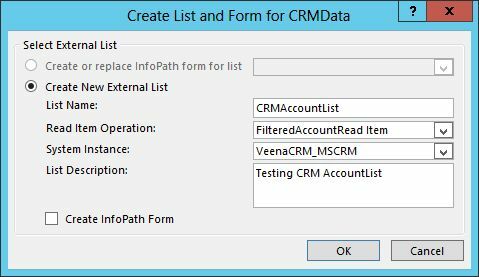 Provide a Name, Display Name, select the Item Type as Generic List and click on External System. You need to create a Data Connection. 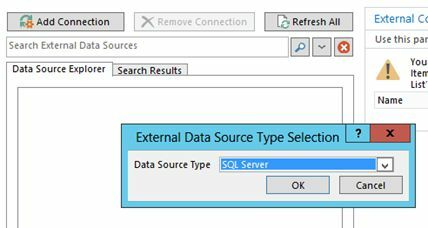 Click on Add Connection and choose SQL Server from the Data Source Type Selection drop down. 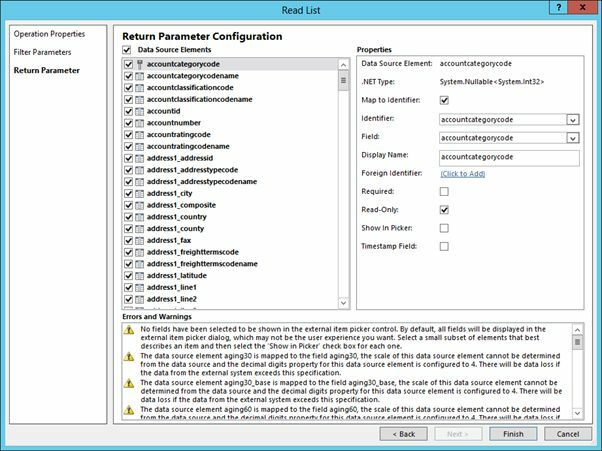 You will be asked the SQL Server name and authentication information. Specify these and click OK. 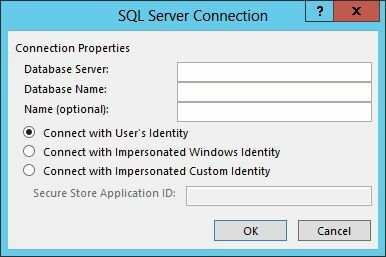 I am choosing Connect with User’s identity, but an ideal way is to create a Secure Store Application ID in SharePoint and use it for this connection. 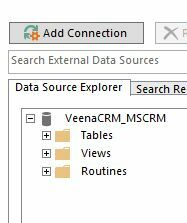 If all goes well, you should be able to connect to CRM Tables, Views and Routines. The ideal way is to use Views for the read operation since we don’t want to directly use data from the tables. For this demo purpose I am choosing a view related to Contacts. Here is a reason why FilteredViews should be used. Follow the procedure to create this operation. First provide a name. You can get an error as in the following if the threshold limit is exceeded. So select only columns that are really required. 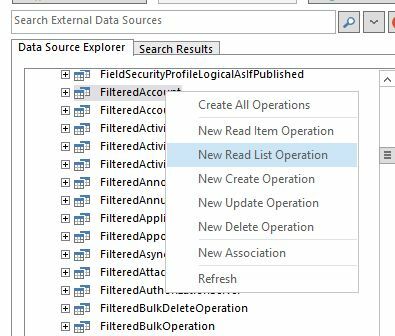 Similarly create a Read Item Operation. 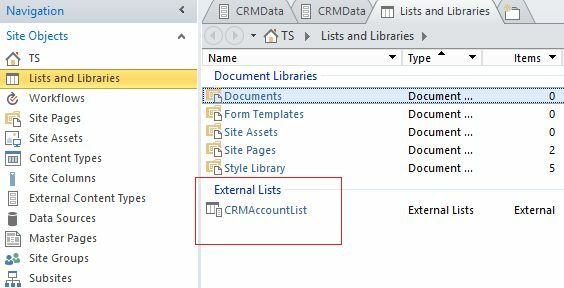 Our ECT to CRM data is ready. Now we can test in designer if we can create a External List. Click on “Create Lists and Forms” and enter the details. Click OK. If all goes well, you will see the List created under Lists and Libraries. 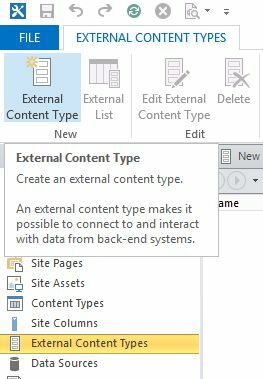 You will see the same in your SharePoint Site -> Site Contents. ASPHostPortal.com is Perfect, suitable hosting plan for a starter in SharePoint. ASPHostPortal the leading provider of Windows hosting and affordable SharePoint Hosting. ASPHostPortal proudly working to help grow the backbone of the Internet, the millions of individuals, families, micro-businesses, small business, and fledgling online businesses. ASPHostPortal has ability to support the latest Microsoft and ASP.NET technology, such as: WebMatrix, WebDeploy, Visual Studio 2015, .NET 5/ASP.NET 4.5.2, ASP.NET MVC 6.0/5.2, Silverlight 6 and Visual Studio Lightswitch, ASPHostPortal guarantees the highest quality product, top security, and unshakeable reliability, carefully chose high-quality servers, networking, and infrastructure equipment to ensure the utmost reliability. This entry was posted in SharePoint 2013 Business and tagged affordable sharepoint 2013 hosting, best and cheap sharepoint 2013 hosting, best sharepoint 2013 hosting, cheap sharepoint 2013 hosting, Excellent SharePoint 2013 Hosting on January 29, 2015 by Downey Neale.